Randolph College’s new M.F.A. in creative writing program has added yet another nationally recognized and multi-genre author to its faculty. Erika L. Sánchez, a renowned and bestselling poet, novelist, and essayist from Chicago, joins the already stellar lineup. 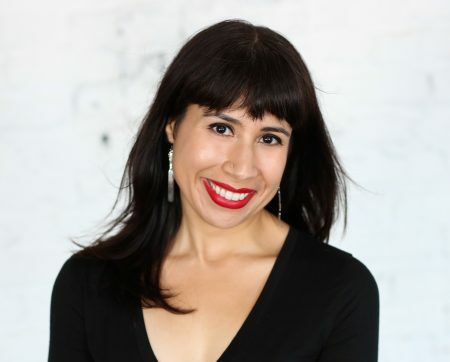 Sánchez’s debut poetry collection, Lessons on Expulsion, was published by Graywolf Press in July 2017, and her debut young adult novel, I Am Not Your Perfect Mexican Daughter, published in October 2017 by Knopf Books for Young Readers, is a current New York Times Bestseller and a National Book Awards finalist. Sánchez was awarded a Ruth Lilly and Dorothy Sargent Rosenberg Poetry Fellowship from The Poetry Foundation, and is a 2017-2019 Princeton Arts Fellow. She has been profiled by NBC News and has appeared on National Public Radio on many occasions. Her poetry and prose has appeared in a wide array of publications, such as Copper Nickel, Guernica, Paris Review, ESPN.com, Rolling Stone, Al Jazeera, Salon, Cosmopolitan, Jezebel, and elsewhere. Other faculty for Randolph’s M.F.A. in creative writing were announced this summer. They include Kaveh Akbar, Kaitlyn Greenidge, Mira Jacob, Aviya Kushner, Layli Long Soldier, and Phillip B. Williams. 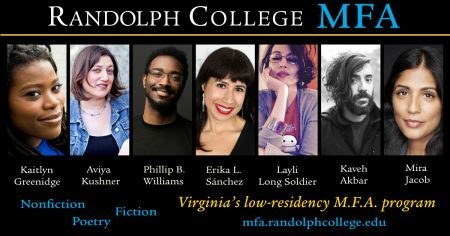 For more information about the program, please visit http://mfa.randolphcollege.edu/index.html.